I’ll have the Nikon Z7 system for review tomorrow October 4th, whereupon I leave for the Eastern Sierra. I will be publishing my findings starting this weekend. 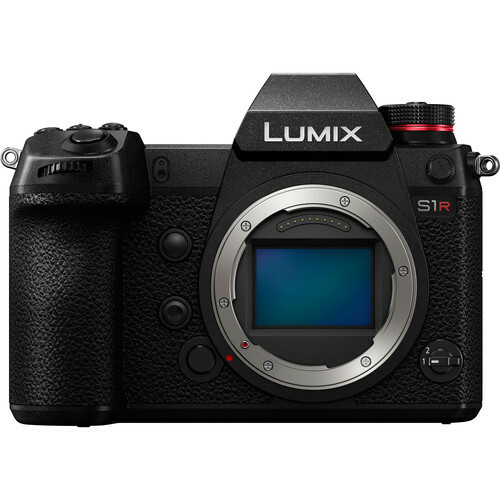 I’m beginning to think the new Panasonic S1R could very well be the best option for people (like myself) who enjoy shooting with M-mount lenses. It’s what Leica should have put out 3-4 years ago in a native M mount, instead of continuing to flog the RF dead horse, and coming out with ridiculous limited editions. Later, when Sigma comes out with a Foveon camera, that could be a nice additional body for landscape photography with a tripod. A Sigma L camera + Panasonic camera + M-to-L adapter all combined will probably cost about the same a Leica SL, and probably less than a Leica M10 + grip + goofy EVF. The Zeiss ZM 35/1.4 Distagon is quite terrible at f/1.4 on Sony mirrorless. Right at the center of the frame is OK, but it starts falling off quite rapidly. Even the Leica 50mm f/1.4 Summilux-M ASPH gets very soft at the edges. The Leica 50mm f/2 APO is much better wide open, but still not tack sharp along the edges. I've been keeping these lenses figuring one day Leica will be forced to offer a non-RF mirrorless M camera. That might never happen, and I don't want to buy the SL, even with a high res sensor - I hate the camera controls, not to mention the absurd price. So the Panasonic S1R could be my ticket to get better mileage out of my hugely downsized set of M lenses. DIGLLOYD: performance losses on Sony mirrorless with Leica M lenses are HUGE with most lenses through f/4, with f/5.6 still degraded even with 50mm lensess. Arguing otherwise is a a hallucination problem. In Zeiss ZM 35mm f/1.4 Distagon: MTF on Mirrorless Cameras, the entire aperture series from f/1.4 through f/16 is shown and compared to performance on Leica M; the MTF losses are extreme both for conventional MTF and through-focus MTF (both are shown, courtesy of measured results by Carl Zeiss). As to the Leica 50mm f/2 APO-Summicron-M ASPH being better, maybe: my A/B tests with a modified (Kolarivision) Sony A7R with Leica M lenses show that performance on Sony mirrorless of the Leica 50mm f/2 APO-Summicron-M ASPH is impaired even through f/5.6. For those who are OK with modifying their cameras and/or using special filters to mitigate the ray angle issues, see Rangefinder Wide Angle Lenses On A7 Cameras: Problems And Solutions by Philip Reeve. L-mount to the rescue of Leica M lenses? The Leica SL performance with Leica M lenses is nearly as good as on Leica M bodies, so assuming that the L-mount consortium sticks to the same sensor cover glass thickness as the Leica SL, then the holy grail has arrived: performance of Leica M lenses on at least three different camera bodies (Panasonic S1R, Leica SL, Sigma TBD). Put plainly, the Panasonic S1R might possibly be the ultimate Leica M10 killer. Note that my longstanding carefully considered policy for lens performance evaluations: lenses go into their “native” publication regardless of camera platform, with few exceptions unless compelling reasons exist.